As part of our ongoing efforts to help improve the quality of our ads, we're announcing an update that changes how each keyword’s 1-10 numeric Quality Score is reported in AdWords. 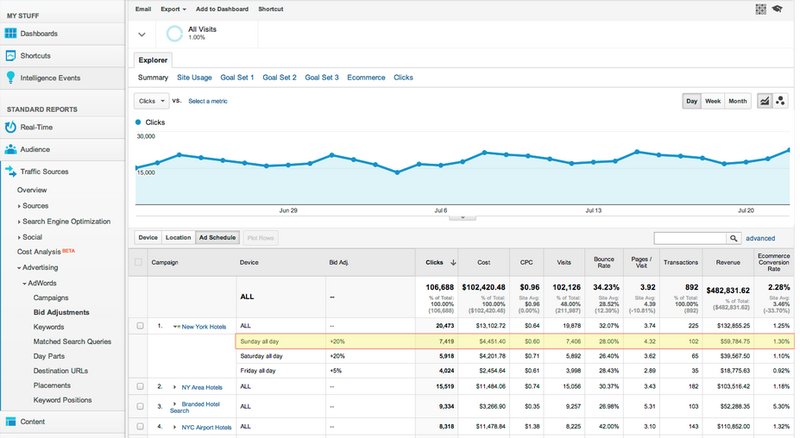 Under the hood, this reporting update will tie your 1-10 numeric Quality Score more closely to its three key sub factors -- expected clickthrough rate, ad relevance, and landing page experience. We expect this update to reach all advertisers globally within the next several days. We're making this change so that the Quality Score in your reports more closely reflects the factors that influence the visibility and expected performance of your ads. We hope that providing you more transparency into your 1-10 Quality Score will help you improve the quality of your ads. Please note that this is only a change to how a keyword’s 1-10 Quality Score is reported. It does not change how Quality Score is calculated in real-time for each auction, and thus won't have any direct effect on your ad performance. So unless you have automated rules tied directly to your reported 1-10 Quality Score, your ads should continue to behave as they did before. 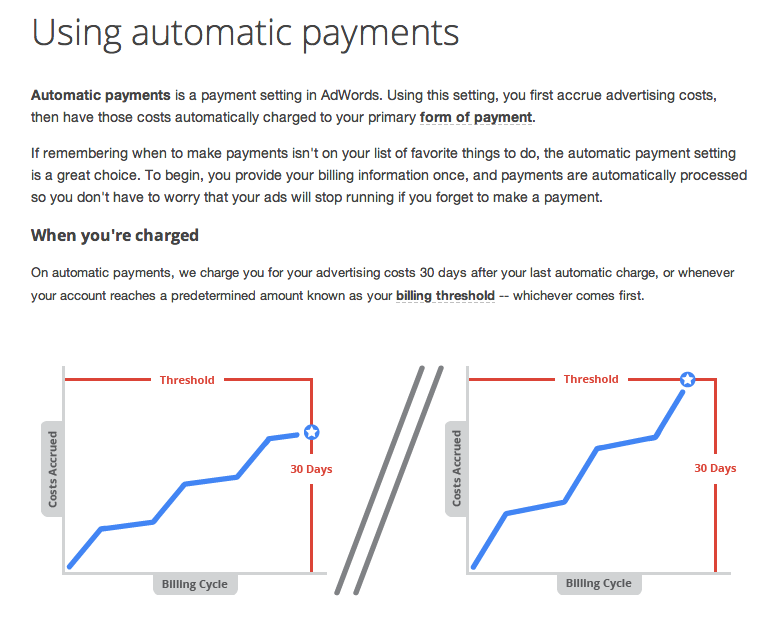 We believe this improvement will make it easier for you to take specific action to improve your ads and to recognize when your changes are working. Our goal in making this update is to provide you with a better understanding of your Quality Score to help you run a more effective AdWords campaign. To review the basics of Quality Score, please see our help center article on how to check and understand Quality Score. We also recommend reviewing 10 things you should know about Ads Quality, which addresses frequent questions and common misconceptions on Quality Score and other external factors that influence the performance of your ads. and dedicated website, you can see lots of best practices, customer stories, webinar recordings and details about new features in the “enhanced campaigns” label on our blog. Since we introduced enhanced campaigns, advertisers have upgraded over 6 million legacy campaigns, representing almost 75% of active campaigns. And starting today, we will begin upgrading all remaining campaigns automatically, bringing everyone onto the new AdWords platform. As with many product launches, the rollout will be gradually completed over several weeks. Pizza Hut reported that mobile ROI increased by 20% since upgrading to enhanced campaigns. They've also found that mobile CTR has increased by more than 60% while their cost per order on smartphones has dropped by 17%. Review your mobile bid adjustments. 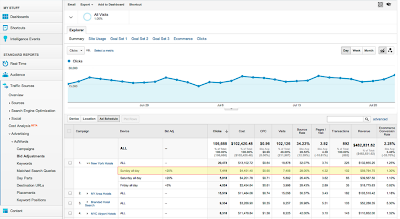 For most campaign types, the auto-upgrade default is based on bids from similar advertisers. 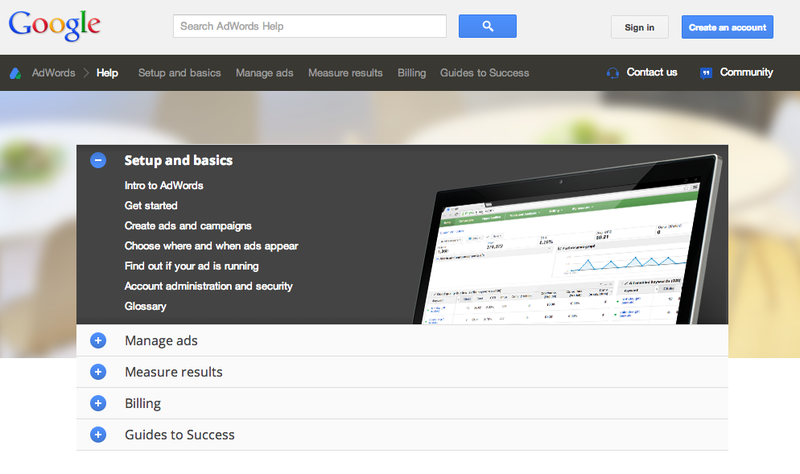 Visit the campaign ‘Settings’ tab to optimize for your business. Identify unwanted keyword duplication in overlapping campaigns. If you previously had similar legacy campaigns for each device type, we suggest identifying matching campaigns and eliminating unwanted duplicate keywords in your enhanced campaigns. Review Display Network campaigns. Verify that your display ads are reaching users on desired devices and that you're using your desired bidding strategies. Start taking advantage of the powerful enhanced campaign features. We recommend trying out upgraded sitelinks and upgraded call extensions to start. 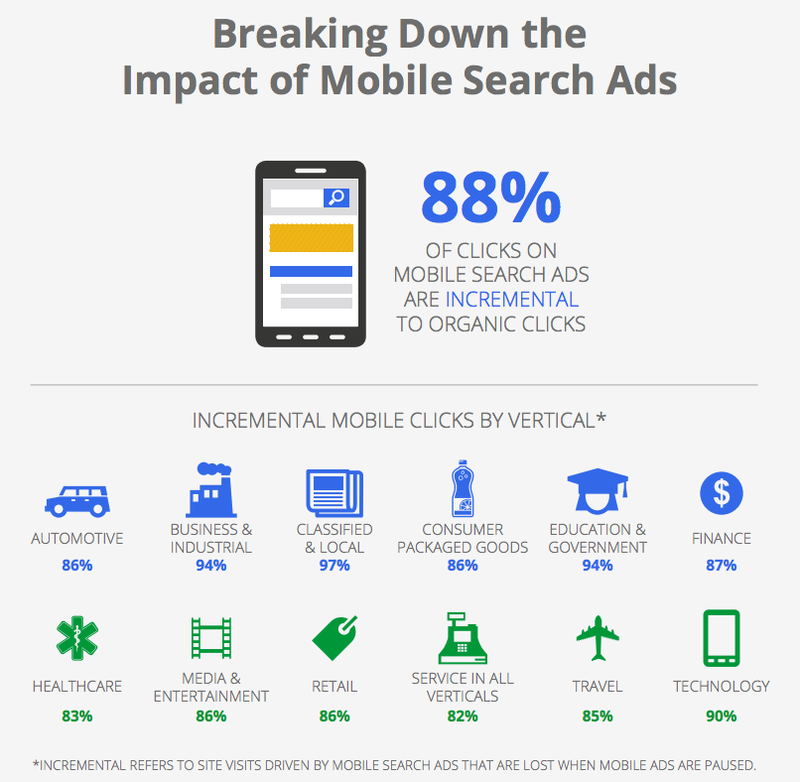 Then you can further boost results by creating mobile preferred ads and setting bid adjustments for location and time. You can visit our enhanced campaigns website for more success stories and best practices, including a guide on how to bid like a pro with enhanced campaigns. And please contact us if you have questions or need help. Consumers will continue to have access to more screens and be able to switch between them as they shop, play and communicate. Enhanced campaigns are an important step towards helping advertisers connect with consumers more simply and smartly in this multi-screen world. We've been inspired by advertisers and partners around the world who are already embracing this new opportunity. Thank you for joining us on the journey and stepping into the future together. Our two most important goals for AdWords are to make ads more relevant and useful for users, and more effective and simple to manage for advertisers. That's why I was so excited to announce enhanced campaigns this past February. With enhanced campaigns, we're making it easier to reach people in the moments that matter with ads that are more relevant to their intent and context. We’ve written a lot about enhanced campaigns in the past four months. In addition to our help center articles and dedicated website, you can see lots of best practices, customer stories, webinar recordings and details about new features in the “enhanced campaigns” label on our blog. announced, we began enforcement of the new unique product identifier feed specification as part of an ongoing effort to improve product data quality on Google Shopping. These new specifications help us serve better results to our users while creating more opportunities for merchants. Enforcement of these new specifications has begun and will continue to ramp up over the coming weeks. By September, all violating offers will be rejected and will not be served through Product Listing Ads. These new feed specifications will affect all accounts in the United States and non-exempt accounts in France, Germany, and the United Kingdom. Beginning September 16th, all previously exempt accounts in France, Germany, and the United Kingdom as well as all other targeted countries will be subject to these new requirements. Partnering with a channel management company is one solution to make the necessary changes to comply with feed attribute requirements. Channel partners improve performance through feed management and optimization, which includes providing the necessary data in the right format to comply with feed specifications. There are a number of channel partners to choose from, including Google’s in-house provider Channel Intelligence as well as other members of the Google Shopping Partner Program. For more information, please review the unique product identifier requirements and the latest product feed specifications to make the appropriate changes to your data. To help merchants with this transition, we’ll be hosting a Hangout on Air this Friday, July 19th (9am PT/12pm ET) to walk through the changes and answer any questions you may have about your feeds. You’ll be able to view the session video on the link above if you miss the live broadcast. As we previously announced, we began enforcement of the new unique product identifier feed specification as part of an ongoing effort to improve product data quality on Google Shopping. These new specifications help us serve better results to our users while creating more opportunities for merchants. , which allows people to explore and interact with some of Google’s recent research in a unique and immersive way. Ease of consumption: The databoard introduces a new way of sharing data, with all of the information presented in a simple and beautiful way. Users can explore an entire study or jump straight to the topics or datapoints that they care about. The Databoard is also optimized for all devices so you can comfortably explore the research on your computer, tablet, or smartphone. Shareability: Most people, when they find a compelling piece of data, want to share it! Whether its with a colleague, client, or a community on a blog or social network, compelling insights and data are meant to be shared. The databoard is designed for shareability, allowing users to share individual charts and insights or collections of data with anyone through email or social networks. A cohesive story: Most research studies set out to answer a specific question, like how people use their smartphones in store, or how a specific type of consumer shops. This means that businesses need to look across multiple pieces of research to craft a comprehensive business or marketing strategy. To address this need, the Databoard allows users to curate a customized infographic out of the charts or data points you find important across multiple Google research studies. Creating an infographic is quick and easy, and you can share the finished product with your friends or colleagues. -- a part of the Engagement Ads family, which consists of interactive ad formats that let advertisers create and scale brand messages across the web, while only paying when a user engages with the ad -- has seen a great deal of momentum since its launch in March. Today we are announcing a brand new capability within this format – Google Catalogs in Lightbox. Brands invest heavily in creating beautiful stories in their printed catalogs, and we want to make it easy for our users to connect with relevant, digitized versions of these catalogs around the web. With Google Catalogs in Lightbox, users can easily flip through the digital catalogs, to see the latest product selections, check product prices, and visit product pages without ever leaving the original page they were browsing. Advertisers pay on a Cost-per-Engagement (CPE) basis -- meaning that they pay when a user chooses to read their catalog. And with access to metrics like page flips and product views, advertisers have more customer insight than ever before. We have received positive feedback on this format from users, advertisers and publishers. Users have responded well to the beautiful, immersive catalog experience. Advertisers have found it easy to create online catalogs within hours, using their existing PDFs and Google Merchant Center feeds. And finally, our publisher partners that have run Lightbox formats have seen their CPMs as much as double. One of our beta partners, Brand USA, an organization that promotes international tourism to the United States, used Google Catalogs in Lightbox to showcase an interactive US travel guide to Canadian tourists. They digitized their existing print tourism guide and achieved massive distribution of their catalog online, reaching a fifth of the Canadian population, and actively engaging 1 in 40 Canadians. To get started, including help with digitizing your catalog, contact your account team today. Google’s Lightbox ad format -- a part of the Engagement Ads family, which consists of interactive ad formats that let advertisers create and scale brand messages across the web, while only paying when a user engages with the ad -- has seen a great deal of momentum since its launch in March. shows that people now use as many as three devices combinations every day including desktop computers, laptops, phones, tablets, "phablets", web-enabled TVs, and more. This always-on, multi-device world has dramatically changed user behavior and also presents exciting, new opportunities for online marketers. With AdWords enhanced campaigns, you can now present users with more relevant messages than ever by taking into account contextual information such as a user’s location, device, and the time of day. You can download the the whitepaper here. To learn more about bidding and search strategies, join us on Thursday, 7/11 at 10am PDT for a webinar highlighting bid adjustment best practices and optimization techniques to get the most out of your search campaigns. Bhanu Narasimhan, Product Manager and Ting Zhang, Search Solutions Manager will be hosting. Register here. We’d love to hear what you think of the whitepaper. Please let us know what other best practices you’d like to read about. See you all Thursday! People are constantly connected, switching seamlessly between devices to shop, communicate and stay entertained. Research shows that people now use as many as three devices combinations every day including desktop computers, laptops, phones, tablets, "phablets", web-enabled TVs, and more. Want to reach potential customers online, but not sure how? We’ve got good news. 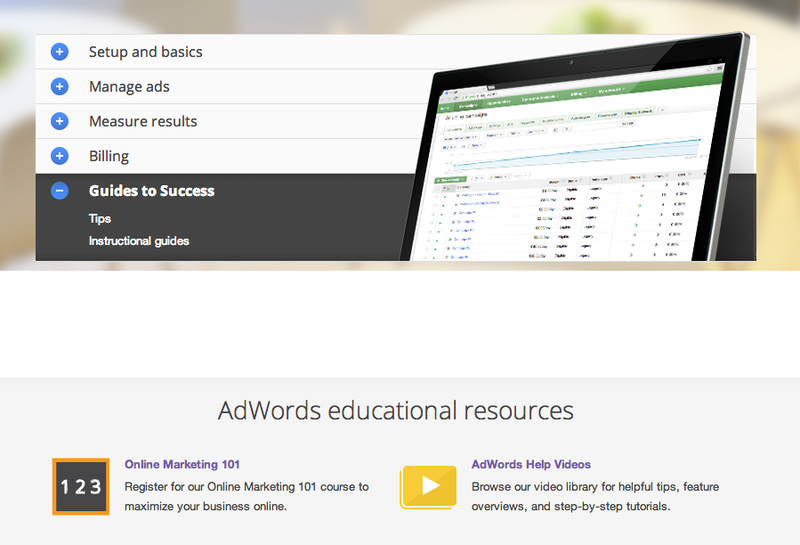 Starting July 22, the AdWords Guides to Success Team will be offering Marketing 101, our first-ever massive open online course (MOOC). Register now. The free course is for businesses who haven’t yet started advertising online or are just learning how it works. Over the course of three weeks, the class will help you understand the basics of online advertising, how it can help your business, and prepare you to start an online advertising campaign with AdWords. Interested? Sign up for the course here.